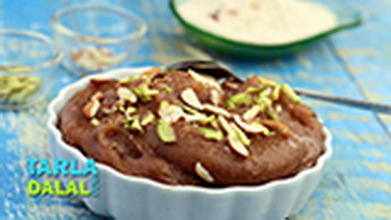 Sooji Ka Halwa: A wonderful dessert that can be prepared in minutes. It does not require much advance preparation, and can be whipped up even at short notice. 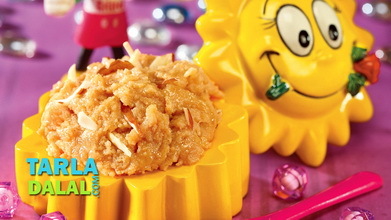 Rava sheera is traditional, yet modern in its simplicity, making it a sheer delight. 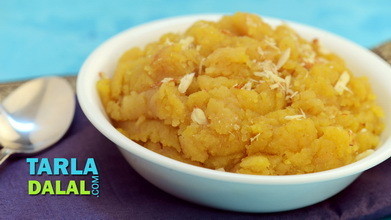 To make rava sheera, heat the ghee in a broad non-stick pan, add the semolina and sauté on a slow flame for 6 to 8 minutes. , while stirring occasionally. 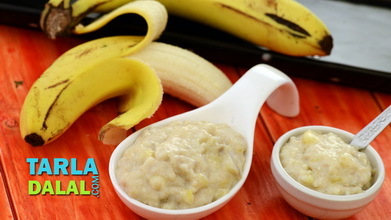 Add the milk, 2½ cups of hot water, mix well and cook for 1 to 2 minutes, while stirring continuously. 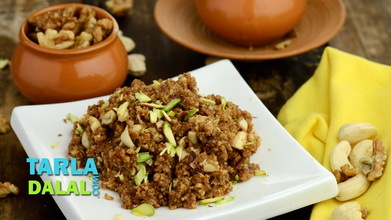 Add the sugar, raisins and cashewnuts and mix well. Cover and cook on a slow flame for about 10 minutes, while stirring occasionally. Add the cardamom powder, mix well and cook on a medium flame for 1 minute. 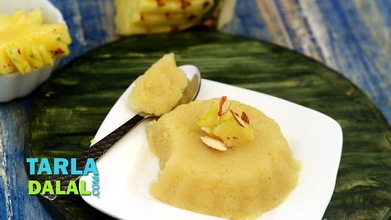 Serve the rava sheera immediately garnished with cardamom powder, raisins and cashewnuts. 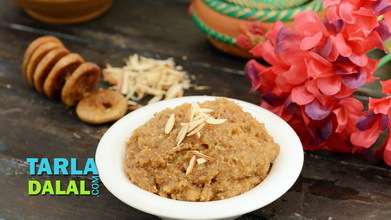 Thanks for easy and tasty seeras I specially enjoyed moong seera Similarly, pl do post simple hot murmure recipies too. 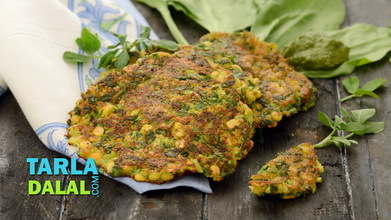 Tarla Dalal We are delighted you loved the recipe and it came out perfectly. Please keep posting your thoughts and feedback and review recipes you have loved. Happy Cooking!